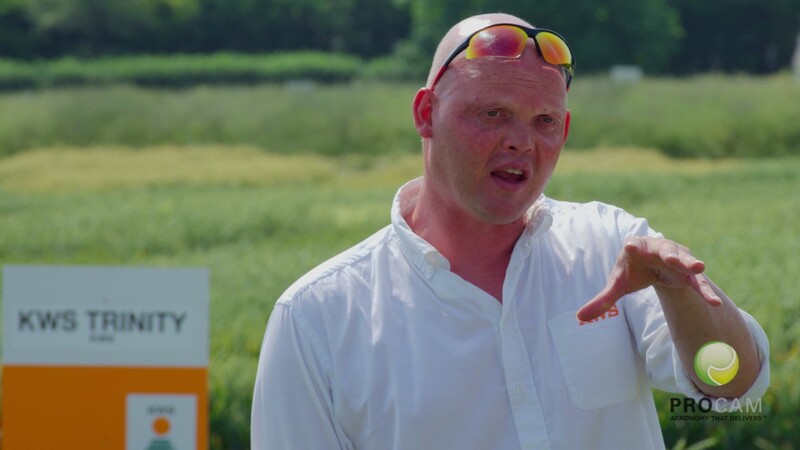 According to Alistair Gordon, Regional Technical Manager for agronomy firm ProCam, good crop nutrition to ensure growth of this short-season crop isn’t restricted, together with effective disease prevention, are two essential components for spring barley to reach its potential. “The spring barley area is expected to increase again this year,” says Mr Gordon, “including in Scotland. “Good disease control will be particularly important if it turns into a wet season with heightened disease pressure. Alternatively, good nutrition to build healthy roots so that plants can access deeper soil moisture will become more crucial if it’s dry. Pointing to ProCam’s latest findings on the benefit of good crop nutrition in a dry season, Mr Gordon says where a specialist treatment incorporating zinc technology plus manganese and copper was applied, spring barley root development was boosted such that, as the soil dried out and moisture receded, the roots followed it down. “In a farm versus farm comparison, using this approach delivered an extra 1.5 t/ha. This was on adjacent farms on the same land type, growing the same variety from the same seed lot, and where all other aspects of agronomy were the same. “The nutrients were sprayed at the two tiller stage of the barley as part of a tank mix with herbicides and fungicides, so there was no separate application. “Manganese, zinc and copper are important trace elements in cereals. Manganese tends to be deficient on the light soils that spring barley is typically grown on. Copper helps to reduce the number of blind grain sites in ears. However, it helps if the application is split, with a second dose of copper applied with fungicides at growth stage 30/31. Turning to disease control, Mr Gordon says although the crop’s short growing season can make it tempting to reduce the number of fungicide sprays, he advocates a three-spray programme, even if the first one is only a low dose, in order to keep the crop clean throughout. “I’ve seen yields of over 10 t/ha from spring barley receiving a three-spray fungicide programme. That compares with the national average yield of just over half that. “The first fungicide spray we base on a low dose of triazole + spiroxamine at the two tiller stage. This helps against mildew and stops other diseases establishing, so the main fungicides applied later don’t have to work as hard. “The main fungicide sprays then follow at growth stage 30/31 and the flag leaf timing, and are based on combinations of triazole, SDHI and strobilurin. Chlorothalonil is also needed at the later timing because of its activity against Ramularia, which is a growing disease problem,” he explains.